What is the purpose of these holes on my wire stripper? 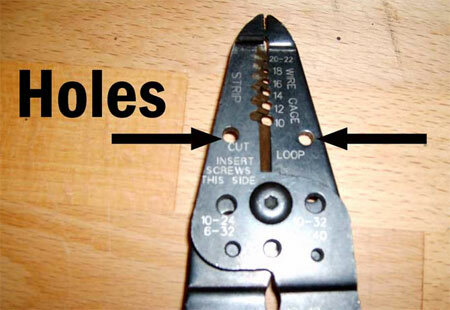 I have been using this wire stripper for a while, but I have always wondered what was the purpose of those holes in the center and above LOOP, and those teeth on the handles. Strip 22-20 AWG (.8 mm) wire. Strip 18 AWG (1.0 mm) wire. Strip 16 AWG (1.3 mm) wire. Strip 14 AWG (1.6 mm) wire. Strip 12 AWG (2.0 mm) wire. Strip 10 AWG (2.6 mm) wire. Used to cut wires and cables. The loop hole is used to bend hooks in wires, so that the wire can be attached to screw terminals. 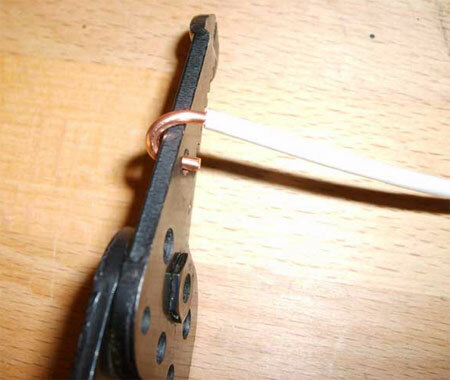 Place the tip of a stripped wire into the hole, and bend the wire around the body of the tool. The other holes in the middle of the body, are screw/bolt shearing holes. They are used to cut small screws/bolts to length. To use them, simply thread the screw/bolt into the proper sized hole to the desired length, then squeeze the handles together. The screw/bolt will be trimmed, without damaging the threads. This means the tool can crimp insulated and non-insulated 16-10 gauge crimp terminals. The colors below represent the color of the insulated crimp terminals, for quick reference. 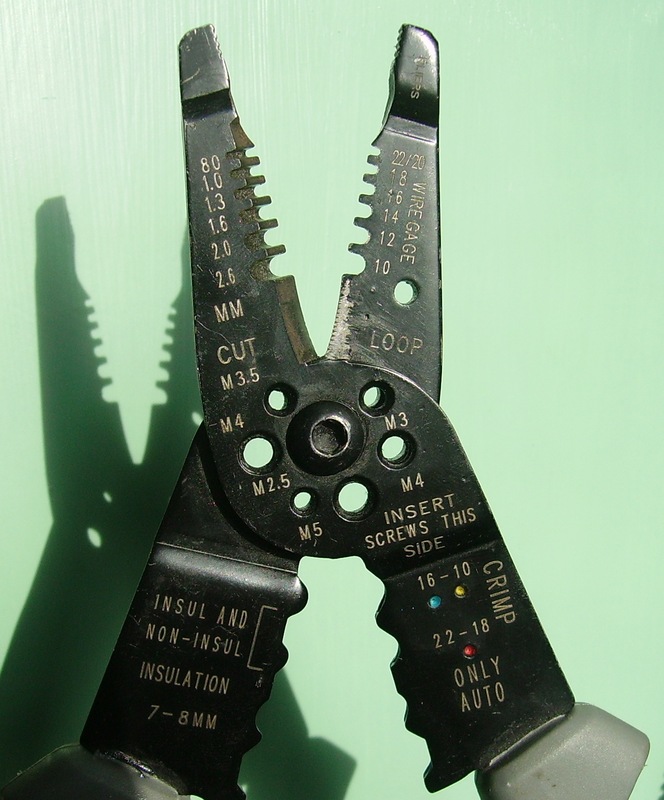 This means the tool can crimp insulated and non-insulated 22-18 gauge crimp terminals. The colors below represent the color of the insulated crimp terminals, for quick reference. This means the tool can crimp insulated 7-8mm auto ignition wires (spark plug wires). The holes in the center are bolt cutters for metric bolts, the loop hole is to help you make loops in wire, see this link for an example of loop usage. Not the answer you're looking for? Browse other questions tagged electrical tools wire or ask your own question. No Ground Wires - Can I connect a wire to the metal box for ground? How do I properly align an outdoor light fixture? What is the right way to strip power wires? What units are the clutch settings on a drill? What should I do with the exposed grounding wire during a conversion from hardwired to plug in light fixture? What are these wires I found in my yard? What is the purpose of the rear end of a roofing hammer? wire on the floor. What is it likely was used for? What does happen when a wire is run close to its maximum “calculated” current? What's the purpose of a wire from stud to outside? What is the purpose of the twin single pole breaker? What is the smallest and lightest wire I can use?